Win SPY Lipstick USB and Light Up Power Bank in 2 simple steps! 2) Email us at iwannawin@cathay.com.sg with the answer to the question below. Name the actor who plays one of the agency’s top spies and Susan Cooper’s partner. 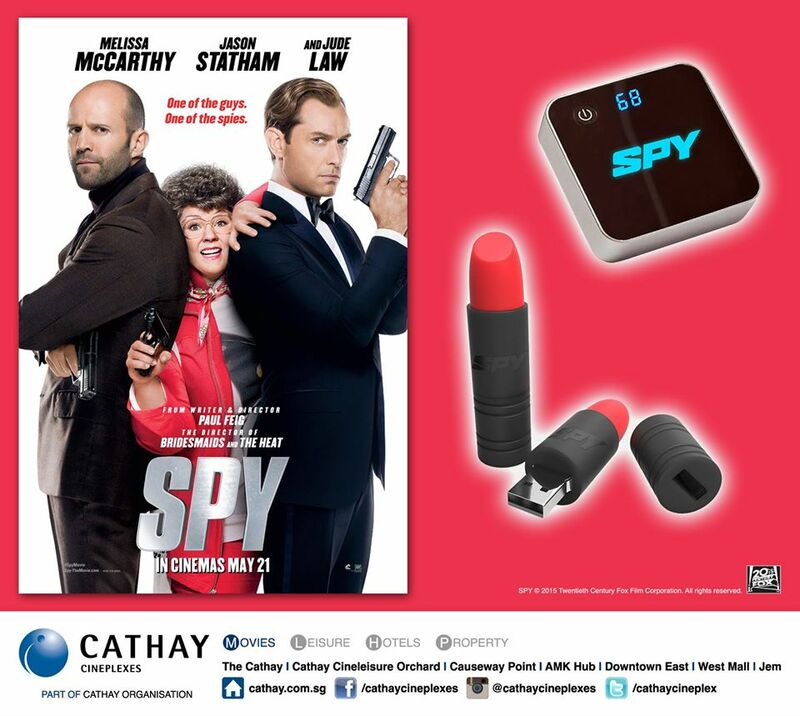 Stand a chance to Win SPY Lipstick USB and Light Up Power Bank at Cathay Cineplexes Singapore Facebook page.